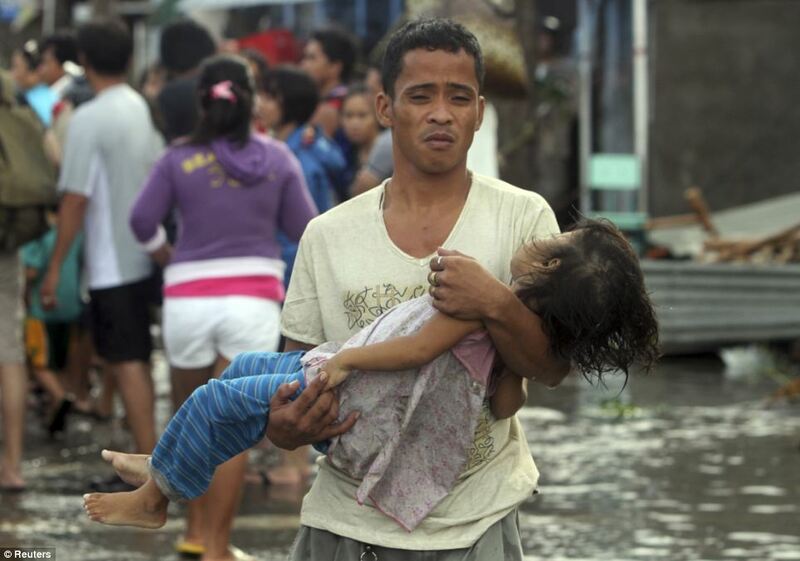 Typhoon Disaster: "Two Out of Five Bodies Are Children"
Thousands of bodies are being piled up on the streets of the Philippines after the devastating Typhoon Haiyan, as aid agencies warn the death toll will 'rise sharply'. 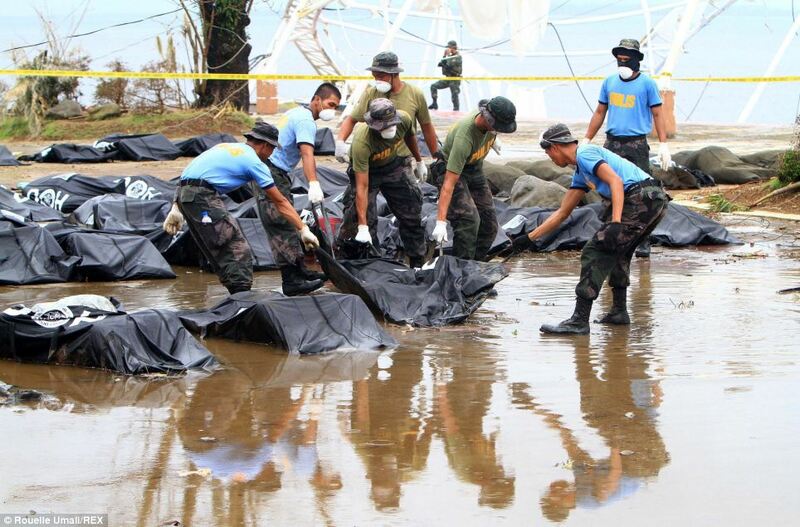 Police and soldiers have the grim task of searching through the wreckage for bodies after entire villages and parts of cities were flattened. 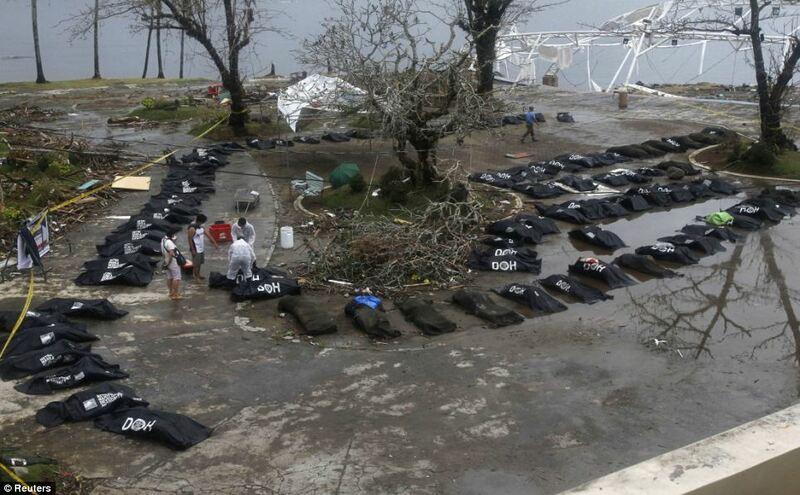 Makeshift mortuaries, set up in remaining intact buildings like churches, are overrun and body bags are being left outside in rows. 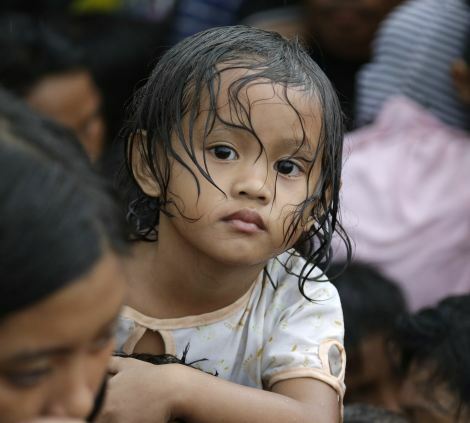 Tens of millions of pounds worth of aid has been pledged by countries around the world and agencies say as many as 10million people in the developing country are in need of basic supplies such as shelter, clean water and food. 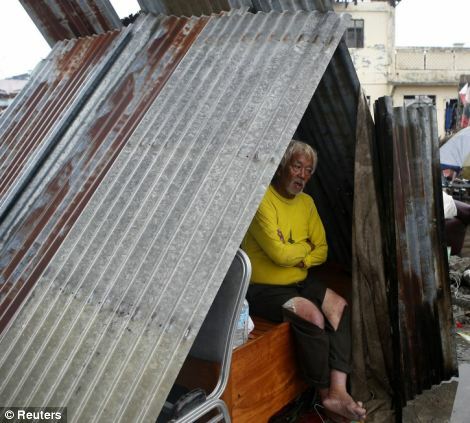 In the worst-hit areas, 235mph winds created 20ft waves that are thought to have killed between 10,000 and 15,000 and left 500,000 homeless after their houses were reduced to splinters. 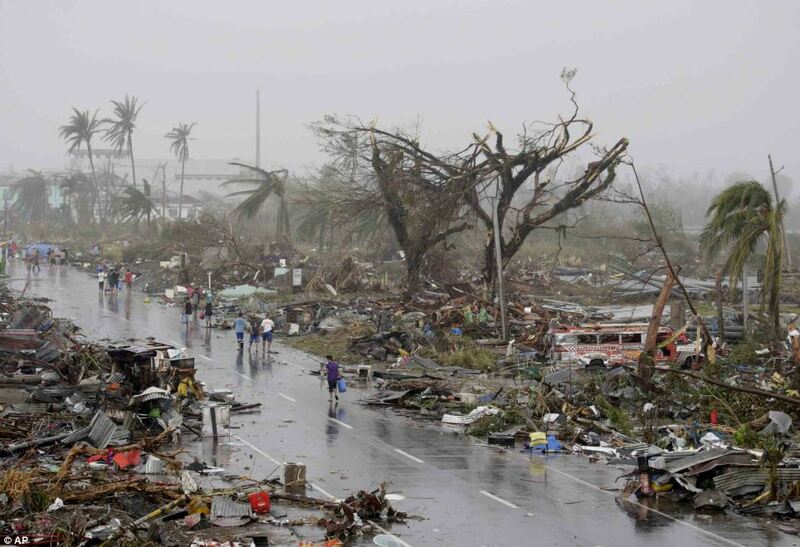 Super-typhoon Haiyan struck with such force on Friday that entire villages were flattened, ships were swept inland and corpses were left hanging from trees. 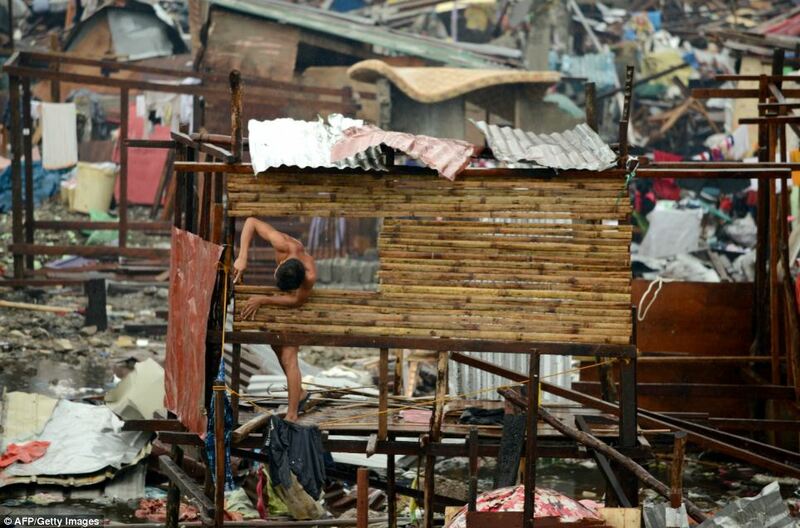 Desperate survivors of the devastating Philippines typhoon told how they had to steal from the dead to eat. 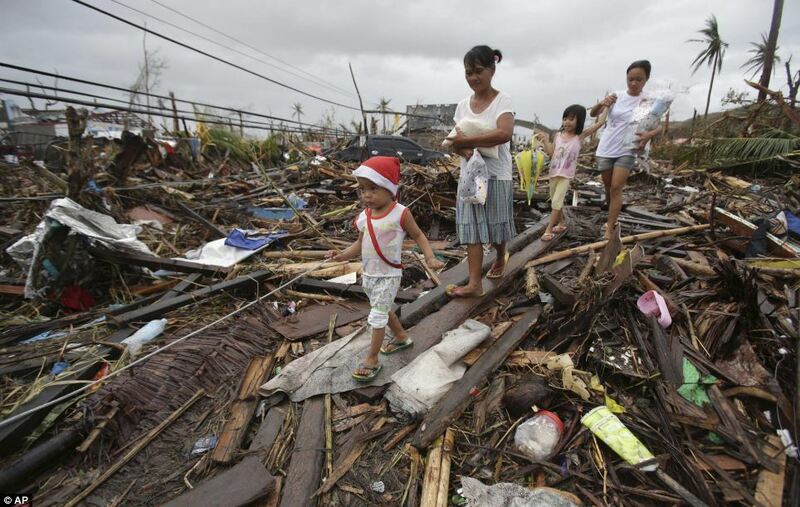 Lynette Lim, of Save the Children, said: 'We are witnessing the complete devastation of a city. 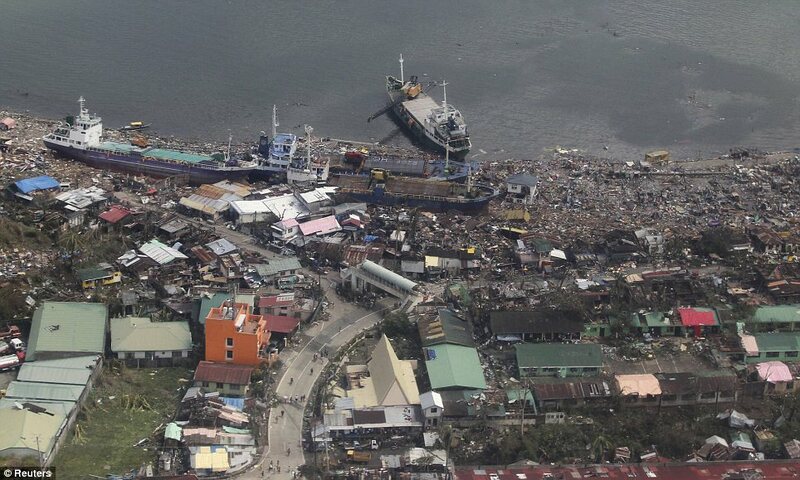 In Tacloban everything is flattened. Bodies litter the street, many, many of which are children. 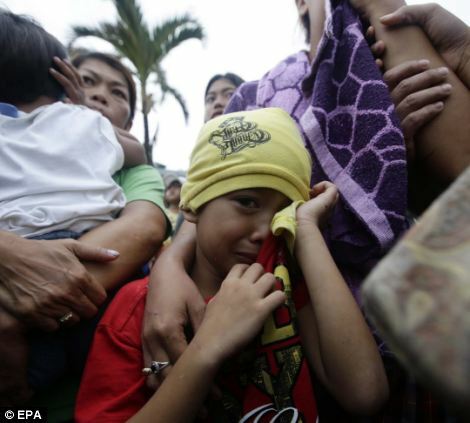 From what I saw, two out of every five bodies was that of a child. 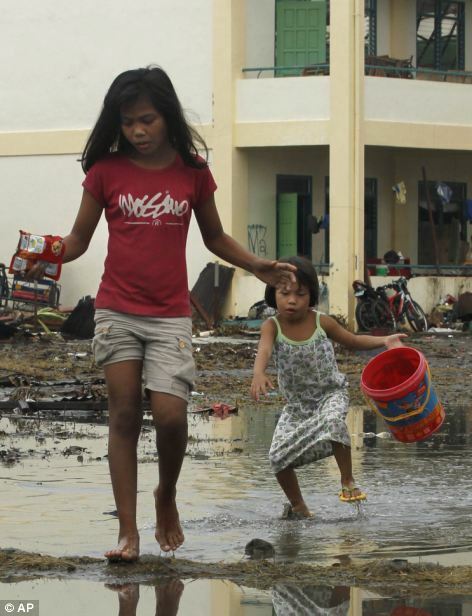 'Children are particularly vulnerable in disasters. 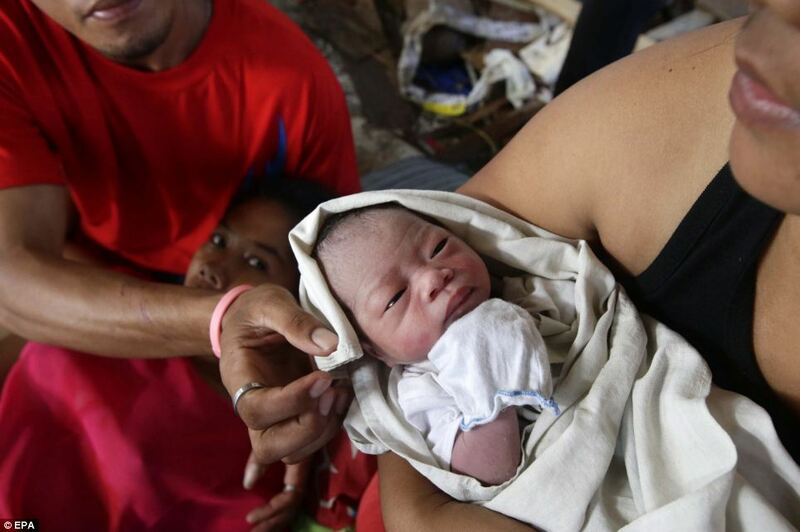 We fear for how many children have been washed away in floods, crushed under falling buildings and injured by flying debris. 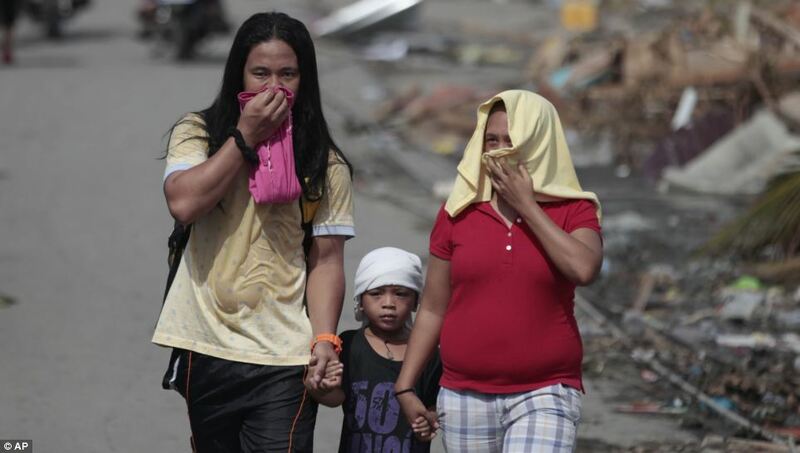 The Disasters Emergency Committee, made up of 14 UK charities, has made an emergency appeal for funds as fears continue that the death toll from the typhoon will rise and it is estimated that more than 10 million people will be left in need of aid. 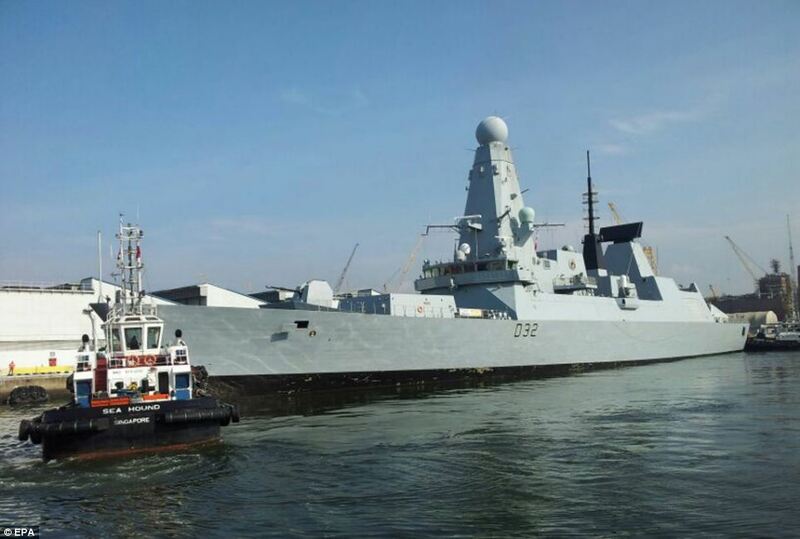 The UK is deploying a Royal Navy warship and donating £10 million of humanitarian assistance in aid for the victims, Prime Minister David Cameron said. 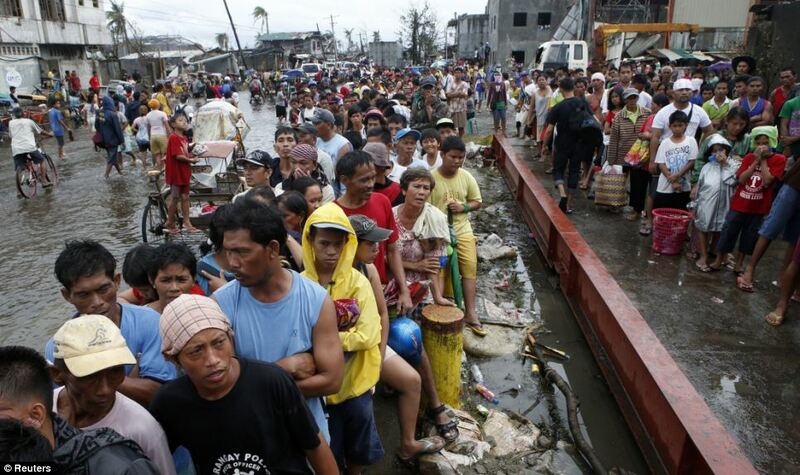 Britain will also deploy RAF military transport aircraft to aid recovery efforts, earmarking at least one C-17 cargo plane to move humanitarian aid and large equipment. 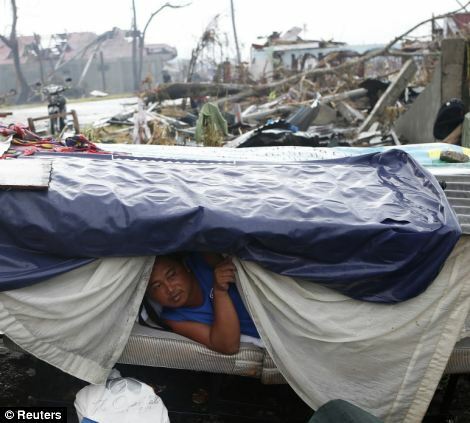 David Cameron said: 'We've all seen the appalling devastation wrought by Typhoon Haiyan, with heart-breaking scenes played across our TV screens," Mr Cameron said. The Prime Minister is also sending a team of 12 British surgeon and paramedics. 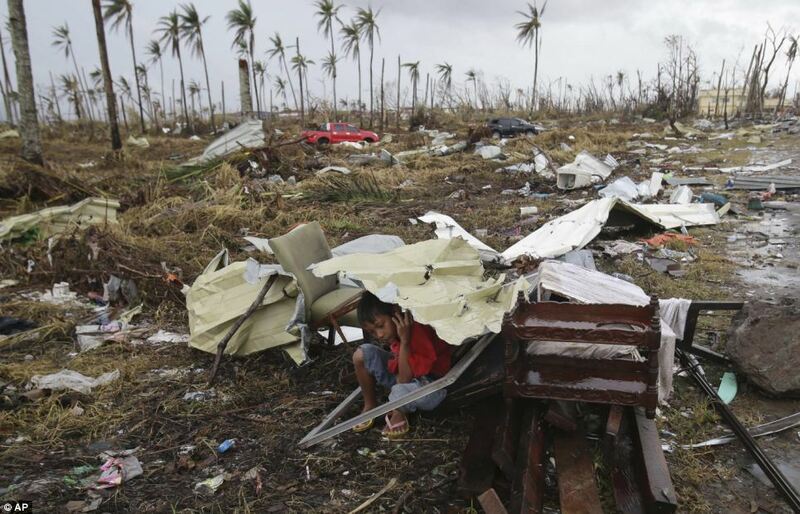 International Development Secretary Justine Greening said: 'The scenes of utter devastation in the wake of Typhoon Haiyan are shocking in their scale and we know that the survivors, especially vulnerable children and women, now face a grim and uncertain future. 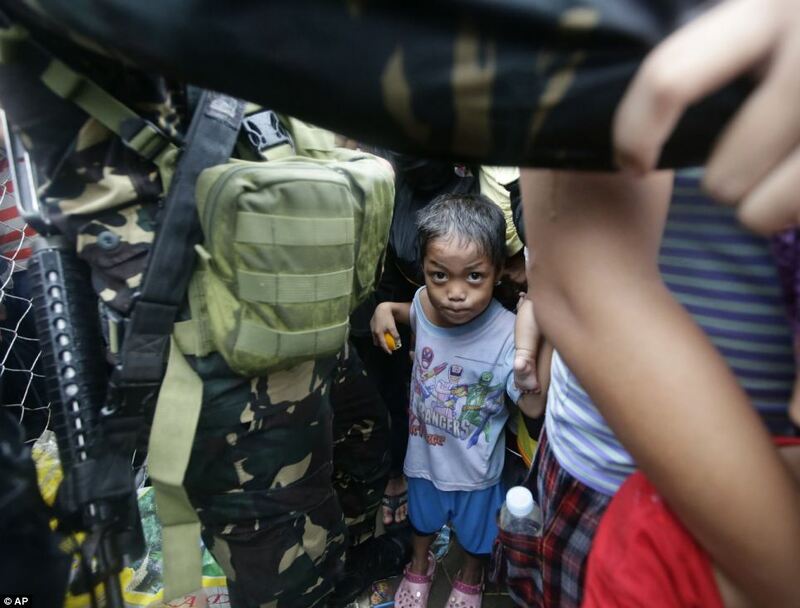 'Britain is determined to stand by the Philippines and we have now pledged a total of £10 million to get 800,000 people the food, water and shelter they urgently need. 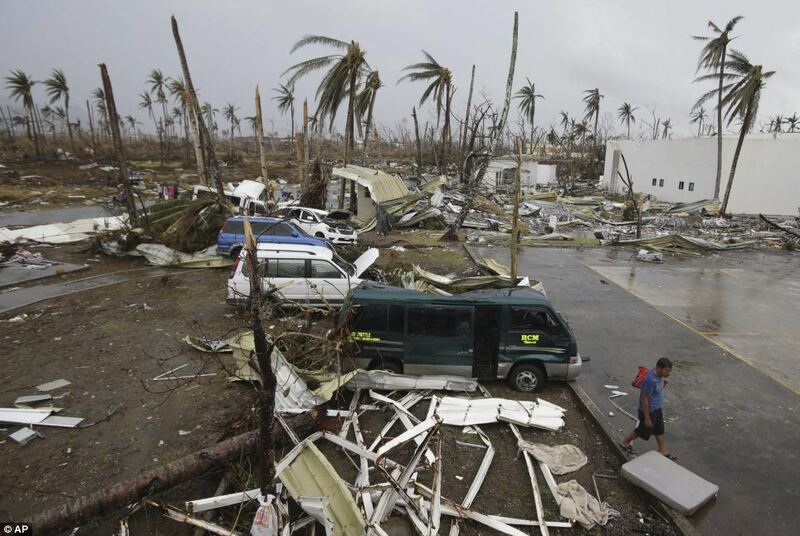 Meanwhile, Australia announced assistance of 10 million Australian dollars (£5.8 million) and the US government is organising emergency shipments of critically needed material and issuing an immediate 100,000 US dollars (£62,000) for relief efforts. 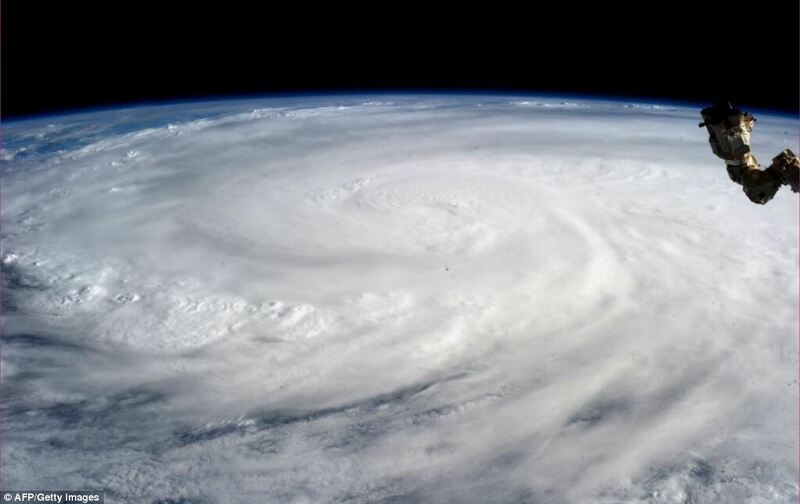 The United Nations today began an appeal for about £200million in aid to help people hit by the huge typhoon. 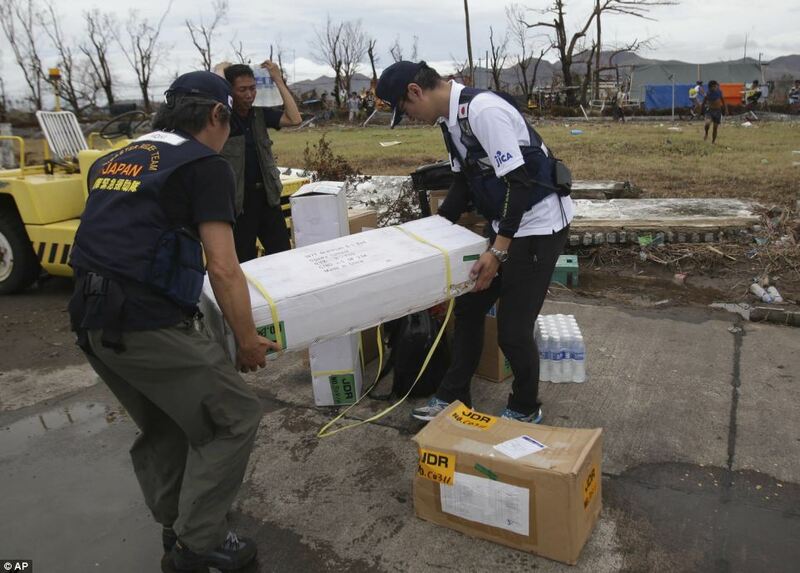 Japan said it will fly a relief team over to the ravaged country and Taiwan is sending 200,000 US dollars (£125,000) in aid. DEC chief Salah Saeed told BBC Breakfast: 'There is a staggering number of people who need our help at the moment. 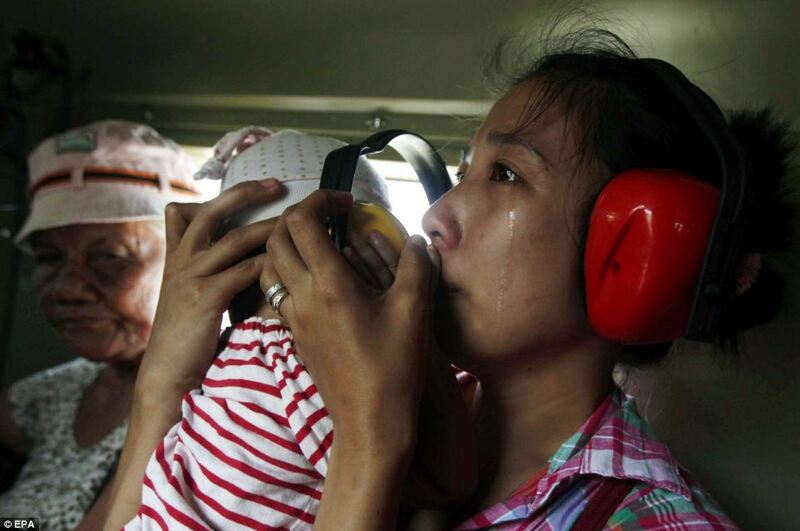 'The priority at the moment is reaching those in remote areas. We are obviously seeing pictures of people who have already been reached and those images that are before us are really staggering. 'But we also have to think of those in remote islands, in remote villages, where we are unable to see what their conditions are. 'The priority, of course, is to reach those. 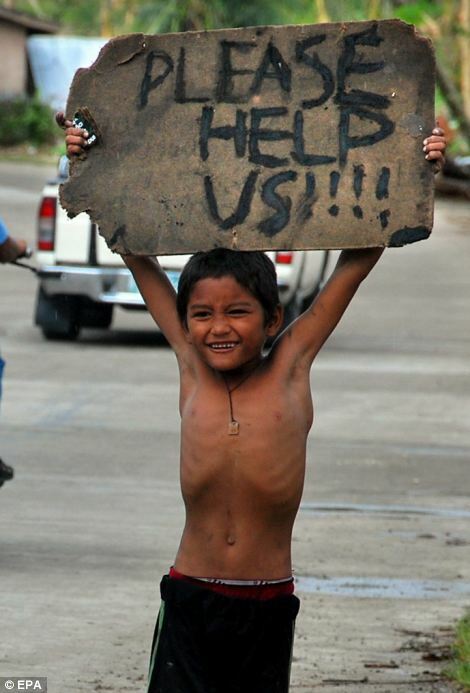 The second is to make sure that we get food, water and shelter to them. 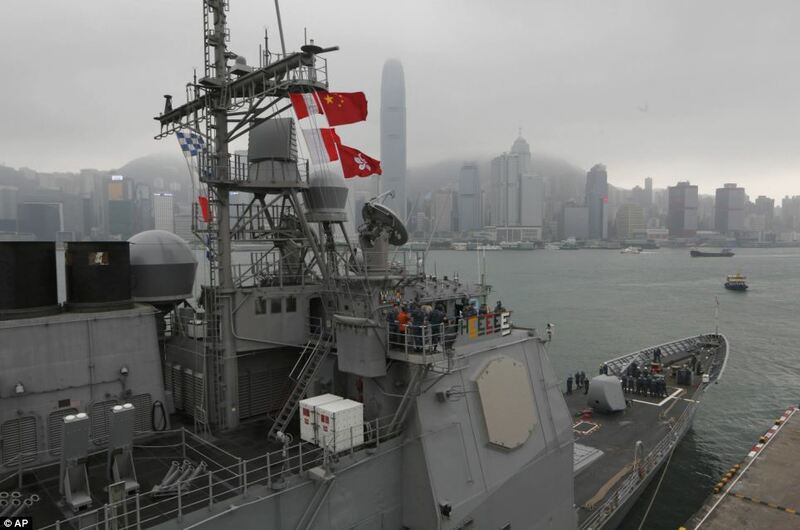 The USS George Washington, which carries 5,000 sailors and more than 80 aircraft, has also been deployed by America to help distribute aid and evacuate injured survivors. 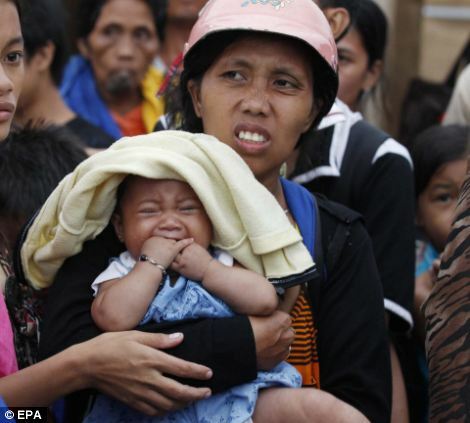 Handicap International said it was sending a team of emergency specialists to support the organisation's staff already working in the country. These specialists will help the most vulnerable individuals, such as people with disabilities, older people and children. 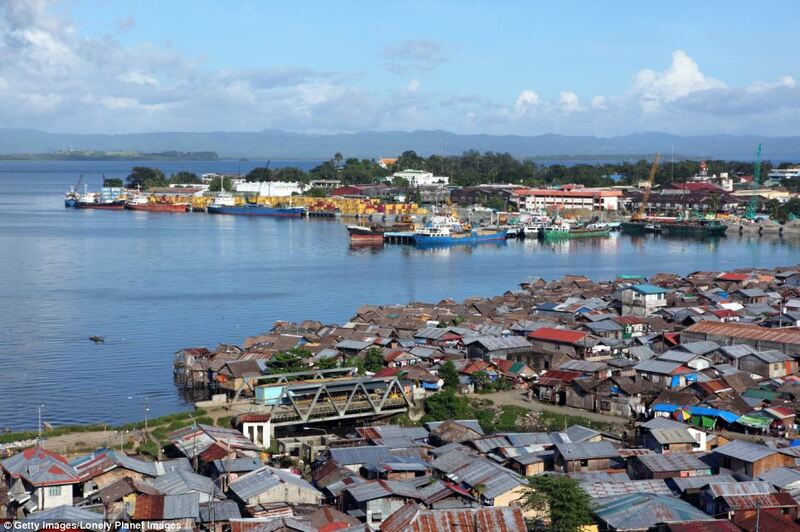 'The devastation is worse than in Bandah Aceh, Indonesia, following the 2004 tsunami,' Edith van Wijngaarden, the charity's programme director in the Philippines, said. Tim Harding, from Sunderland, said he was one of many foreigners who were volunteering at a Manila Red Cross centre. 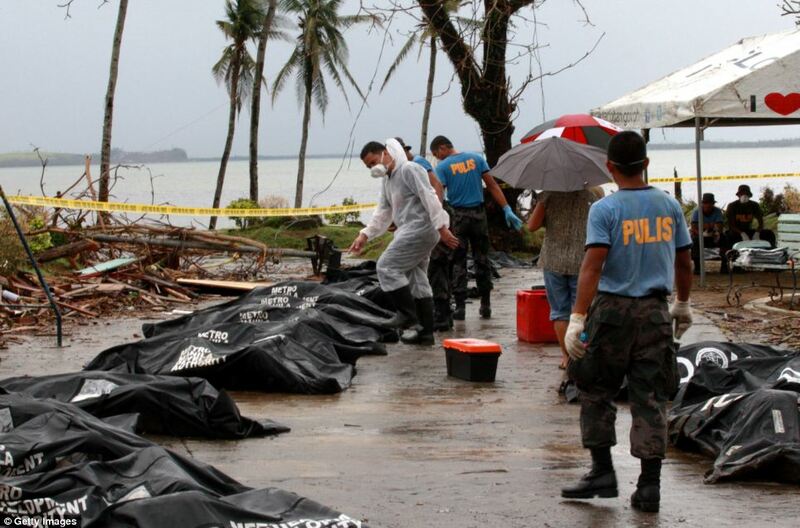 Mr Harding said he had planned to have a holiday with his wife, who is originally from the Philippines, but it had instead become a volunteer mission. 'It's good to see everyone getting on, doing a job where race, nationality, income level, nothing matters at all,' he said. Mr Harding said he would help wherever he could for the next few weeks, a mindset shared by other foreigners hailing from not only the UK, but elsewhere in Europe and the world. 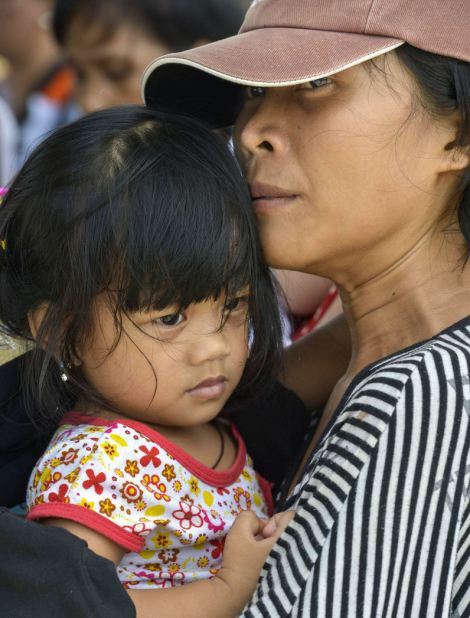 Even as families began to grieve for their dead, they faced a grim battle to find shelter and forage for food and clean water. 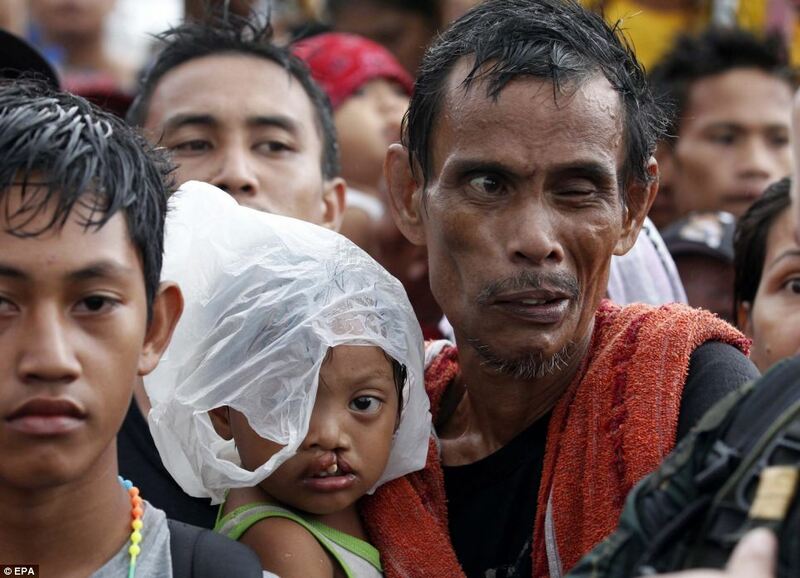 Dazed survivors walked the streets ‘like zombies looking for food’ while looters ransacked shops and mobs attacked aid trucks loaded with food, tents and water. Reports of lawless gangs targeting ATMs and electrical shops forced President Benigno Aquino to deploy police and army troops to the area to restore calm. 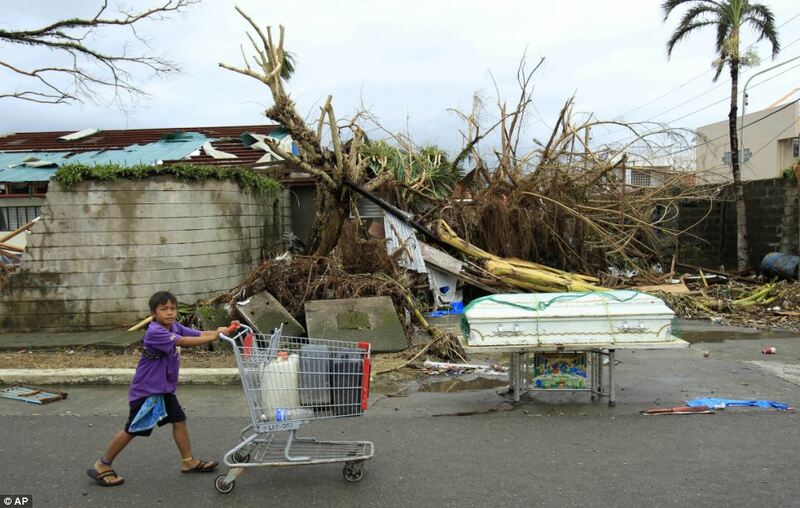 Many areas were left without clean water, electricity or food and relief workers said some regions were cut off for days after the storm hit. 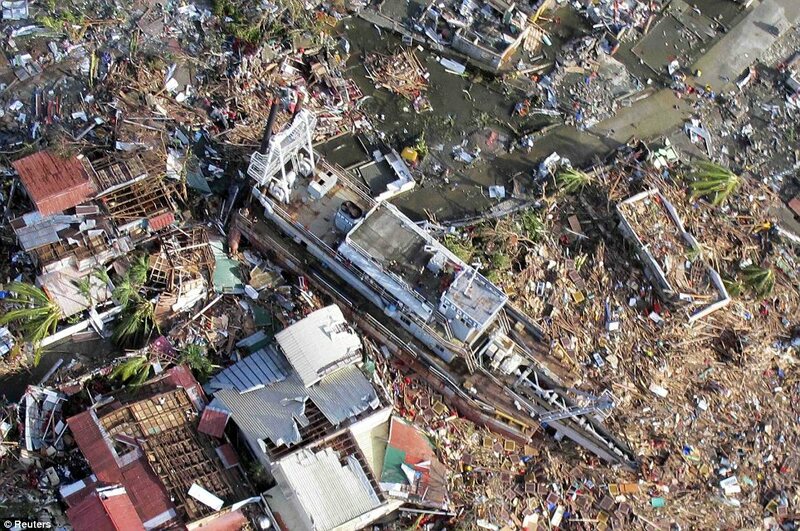 The death toll may soar once the true extent of the damage is known. 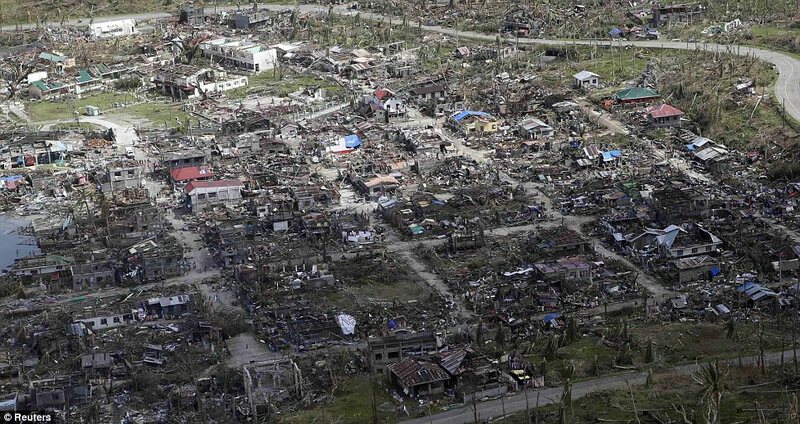 U.S. Secretary of State John Kerry said he told Philippine Foreign Minister Albert del Rosario that the United States is fully committed to helping the Philippines recover from one of the most powerful typhoons on record. Reports from one town showed apocalyptic scenes of destruction in another region that has not been reached by rescue workers or the armed forces. 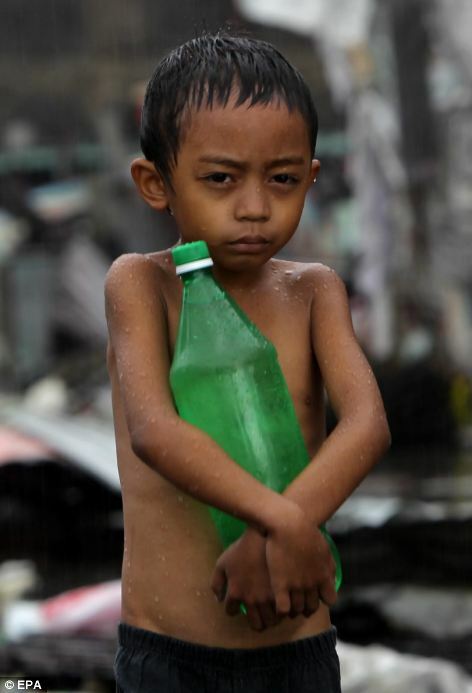 'The situation is bad, the devastation has been significant. 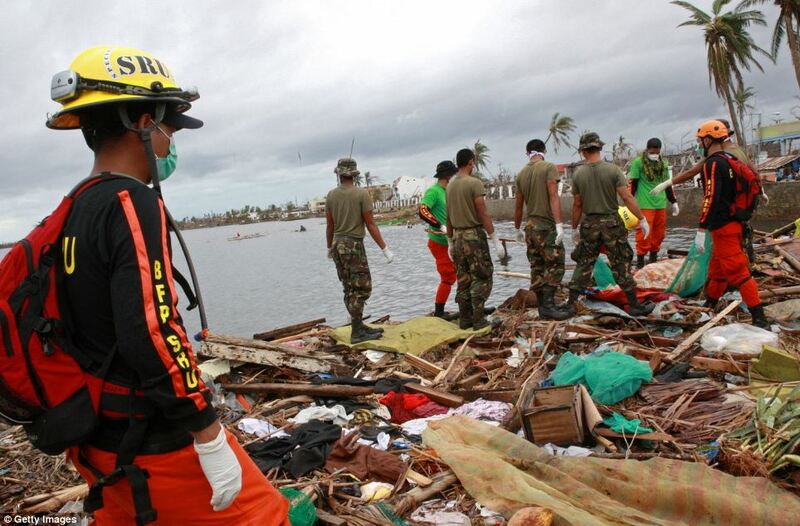 In some cases the devastation has been total,' Secretary to the Cabinet Rene Almendras told a news conference. 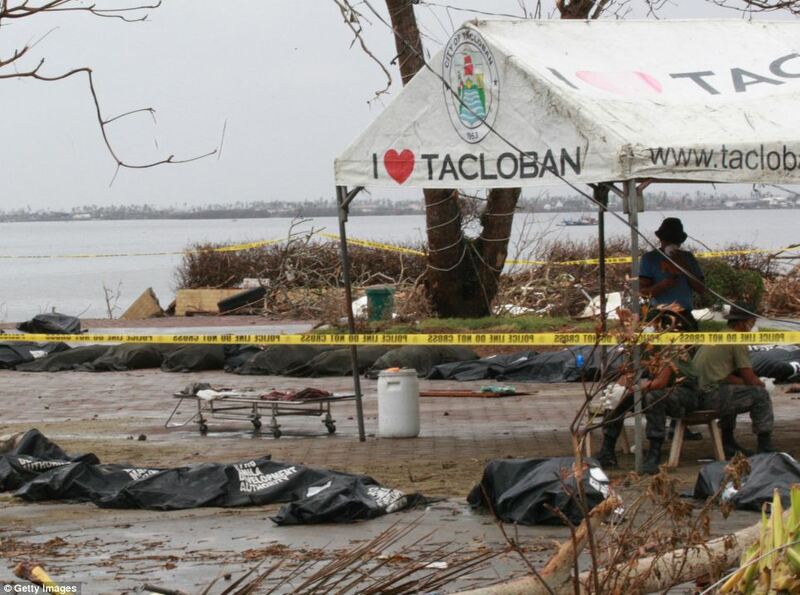 The United Nations said officials in Tacloban, which bore the brunt of the storm on Friday, had reported one mass grave of 300-500 bodies. 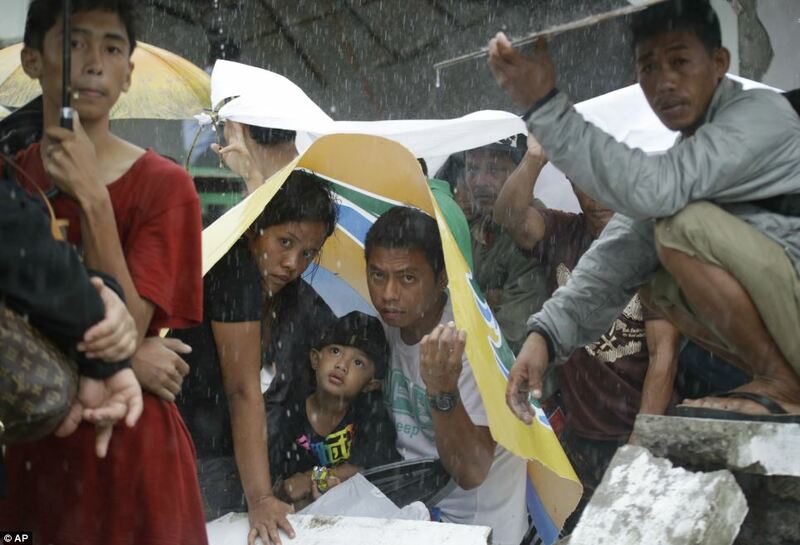 More than 600,000 people were displaced by the storm across the country and some have no access to food, water, or medicine, the UN says. 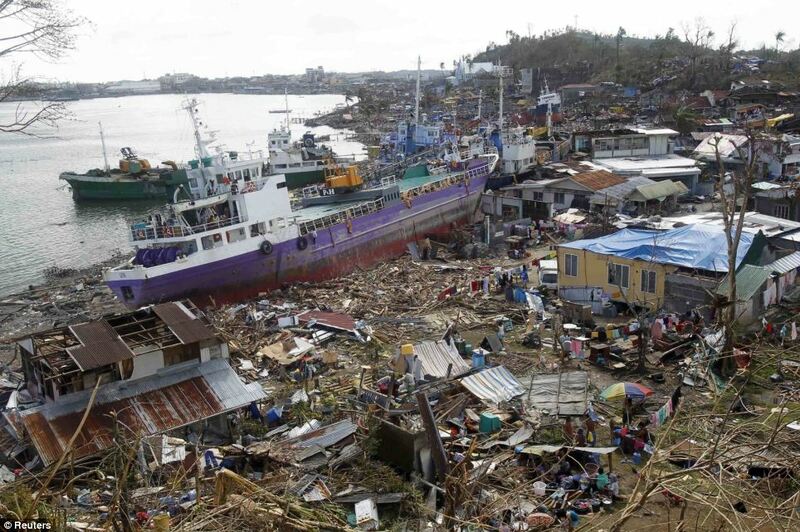 Flattened by surging waves and monster winds up to 235 mph (378 kph), Tacloban was relying almost entirely for supplies and evacuation on just three military transport planes flying from nearby Cebu city. 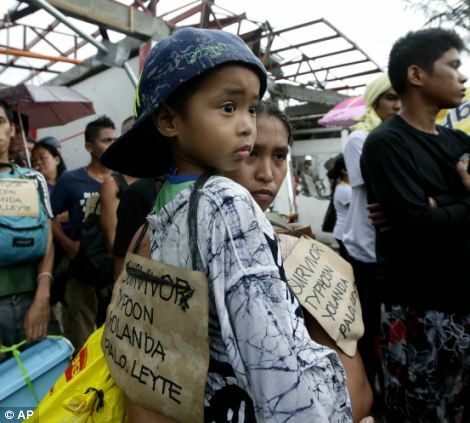 Haiyan is estimated to have destroyed about 70 to 80 percent of structures in its path as it tore into the coastal provinces of Leyte and Samar. 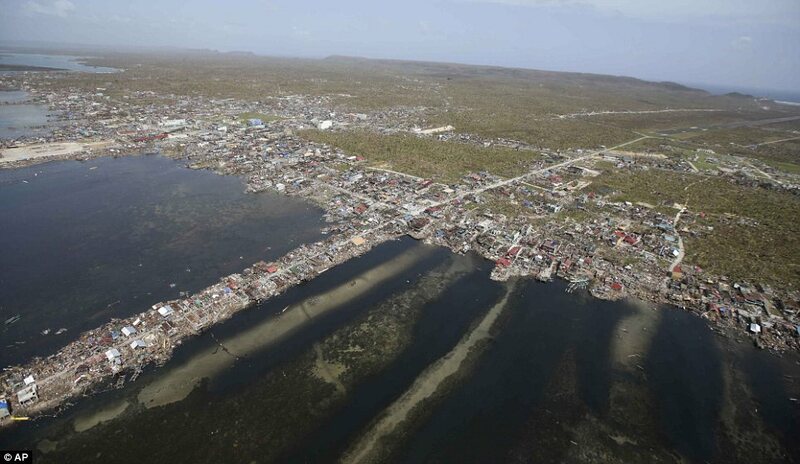 The damage to the coconut- and rice-growing region was expected to amount to more than 3 billion pesos ($69 million), Citi Research said in a report, with 'massive losses' for private property. 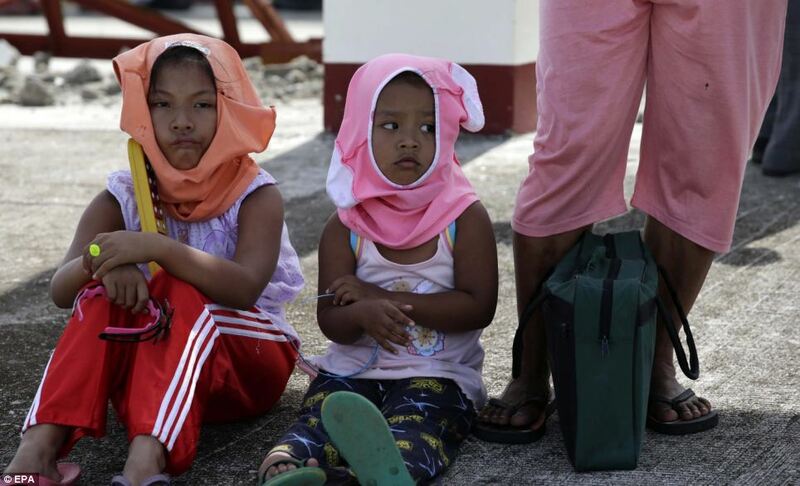 International aid agencies said relief resources in the Philippines were stretched thin after a 7.2 magnitude quake in central Bohol province last month and displacement caused by a conflict with Muslim rebels in southern Zamboanga province. 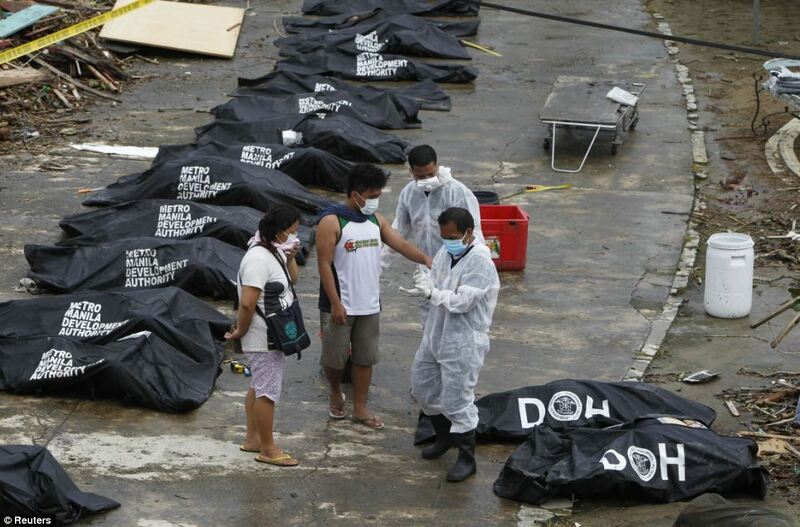 Despite mass burials, the dead remain piled by roads and trapped under wreckage. Families clawing at the ruins to find survivors or food were overpowered by the reek of the rotting bodies. Village councillor and father-of-four Edward Gualberto said he stepped on corpses as he took food from the remains of their homes.